***Due to unforeseen circumstances, the release date has been extended to early July. We apologize for any inconvenience this may have caused in regards to any pre-orders already placed for this title. The Ultimate Desk Reference for Rimfire Rifle Disassembly/Reassembly! Shooters, gunsmiths and collectors alike will find the revised version of this handy rimfire rifle disassembly guide an essential reference for taking apart and putting back together today’s most popular models of rimfire rifles for routine maintenance, cleaning and repair. 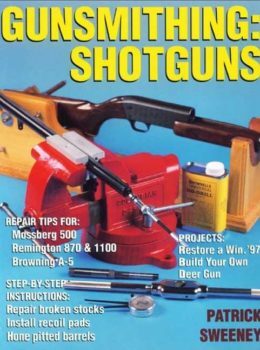 Categories: Assembly/Disassembly Books, Gunsmithing Tags: Assembly/Disassembly Books, Gunsmithing SKU:: R8042 Availability: Available on backorder	ISBN: 9781946267702. Now Includes 20 More Models! Step-by-step instructions and clear photographs make it easy to disassemble and reassemble a wide range of modern and vintage rimfires. 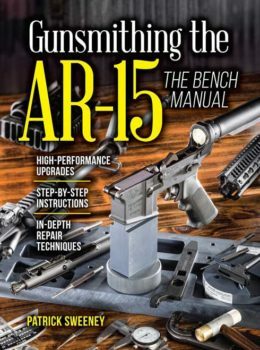 Author Kevin Muramatsu’s decades of gunsmithing experience shines through with practical tips that help you overcome disassembly/reassembly hurdles for each model — those tricky parts that can leave your .22 plinker or squirrel gun in pieces on the workbench. Gunsmith Kevin Muramatsu has authored numerous books including, Gun Digest Guide to Customizing Your AR-15, Exploded Gun Drawings and Gun Digest Guide to Maintaining and Accessorizing Firearms, as well as the Gun Digest series of Assembly/Disassembly titles for pistols, revolvers, centerfire rifles, tactical weapons and shotguns.